The Willamette Water Supply Program will provide several business and contracting opportunities that benefit the local economy, provide jobs, and support regional economic development. Please check back regularly for updates. The Program schedule includes the various construction components needed through 2026 when water will begin to flow to Tualatin Valley Water District and City of Hillsboro water customers through the new water system. This gives the business community a look into the timing of opportunities for the more than one-billion dollar program. 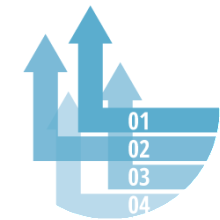 More than 30 procurements for design, construction, and related supporting services are expected, and additional business opportunities will result for sub-contractors and suppliers. 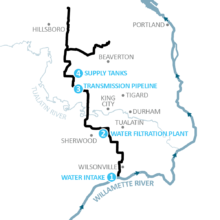 The Willamette Water Supply Program (WWSP) has pre‐qualified nine prime contractors to bid on upcoming water transmission pipeline construction. Procurement timing and approach are subject to change as WWSP needs evolve. PLM_3.0 Construction ITB Kerr Contractors Inc.
PLW_1.1 Construction ITB Kerr Contractors Inc.
Services RFP David Evans Associates Inc. Physical Modeling Study RFP North West Hydraulic Consultants Inc.
3rd Party Testing Services, PLW_1.1 RFP Northwest Testing Inc.
PLM_1.0 Design RFP HDR Inc.
Support Services RFP David Evans Associates Inc.
RWF_1.0 CM/GC RFP Kiewit Infrastructure West Co.
WTP_1.0 Design RFP-Intent to award issued CDM Smith Inc.
DCS_1.0--Distributed Control System RFP S&B Inc.
WTP_1.0--Water Treatment Plant CM/GC RFP Sundt Construction, Inc.